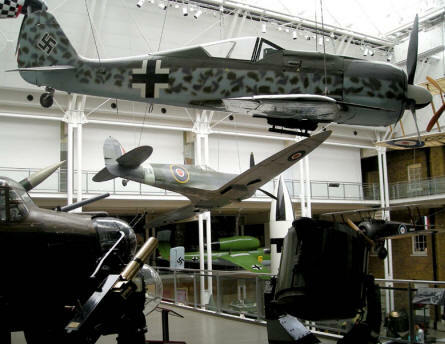 The Imperial War Museum (IWM) in London shows the military history of the United Kingdom, but with the main focus on the two World Wars. At the museum you will find some tanks, guns and aircrafts, but also a vary large collection of uniforms and weapons. 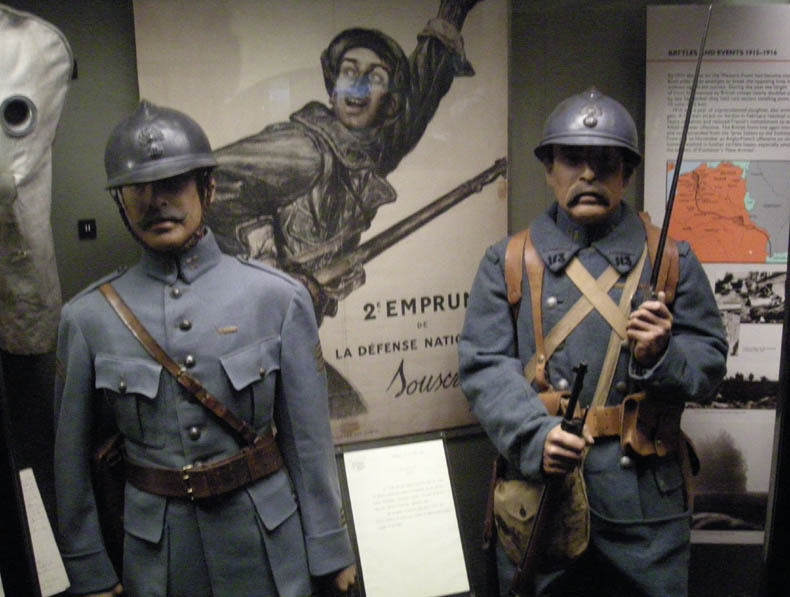 There are many very good displays, which show the uniforms and weapons as they were used. 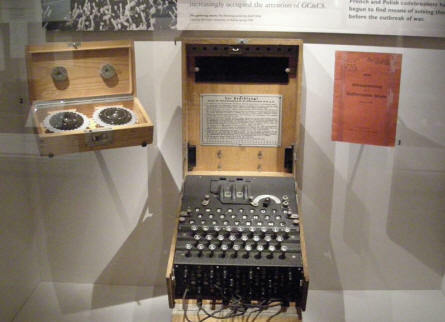 a part of the museum is dedicated to a "Holocaust" exhibition. 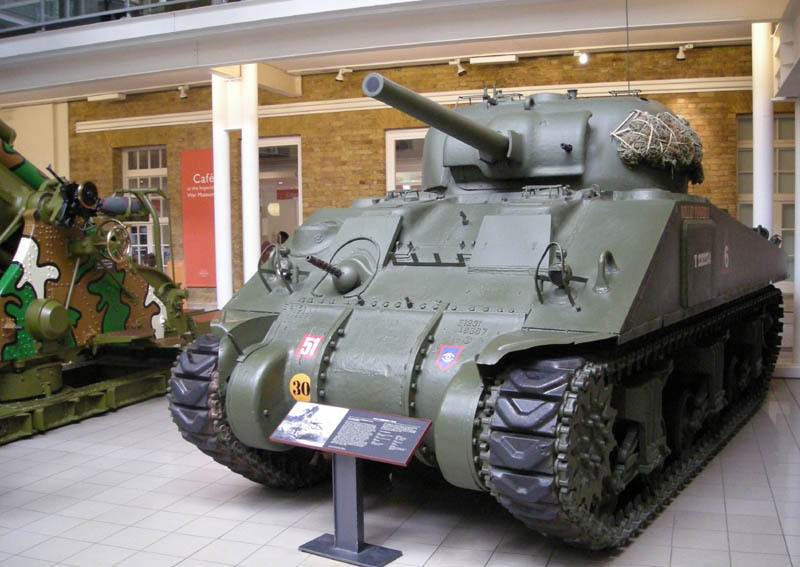 World War II Sherman tank at the Imperial War Museum in London. 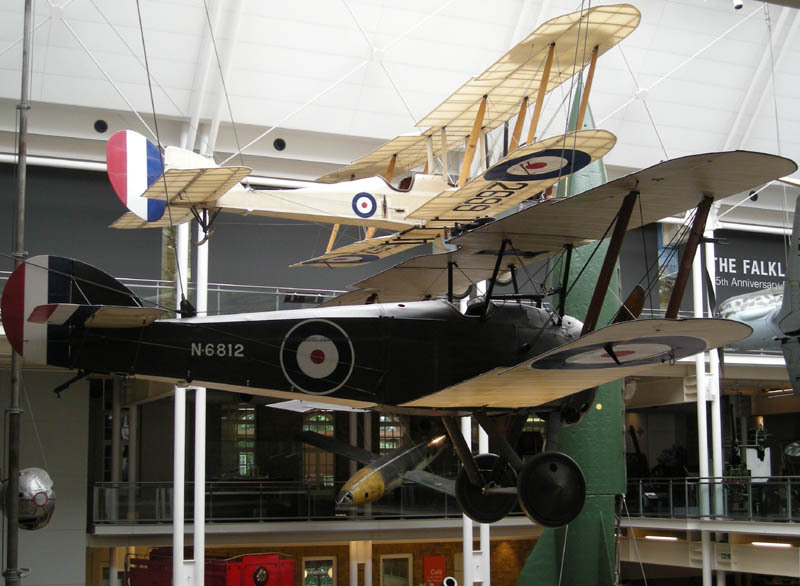 The main hall at the Imperial War Museum in London. With rocket, search lights, FW-190, Spitfire, He-162 and much more. World War I Sopwith Camel and BE 2 at the Imperial War Museum in London. 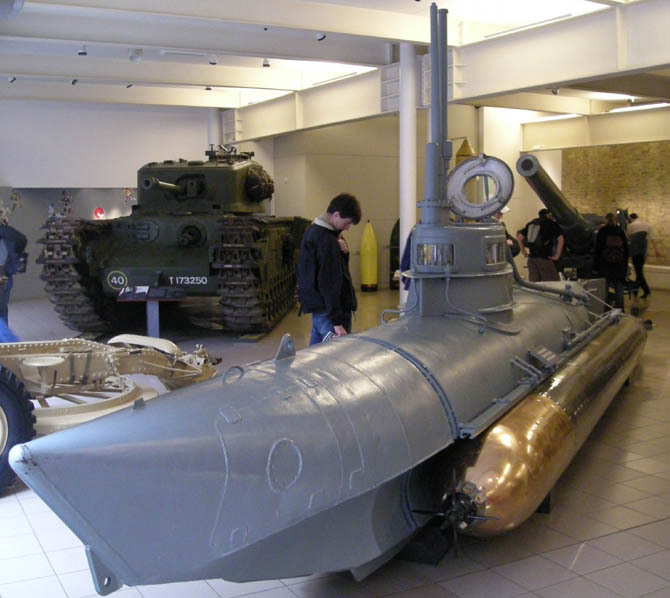 World War II miniature submarine at the Imperial War Museum in London. 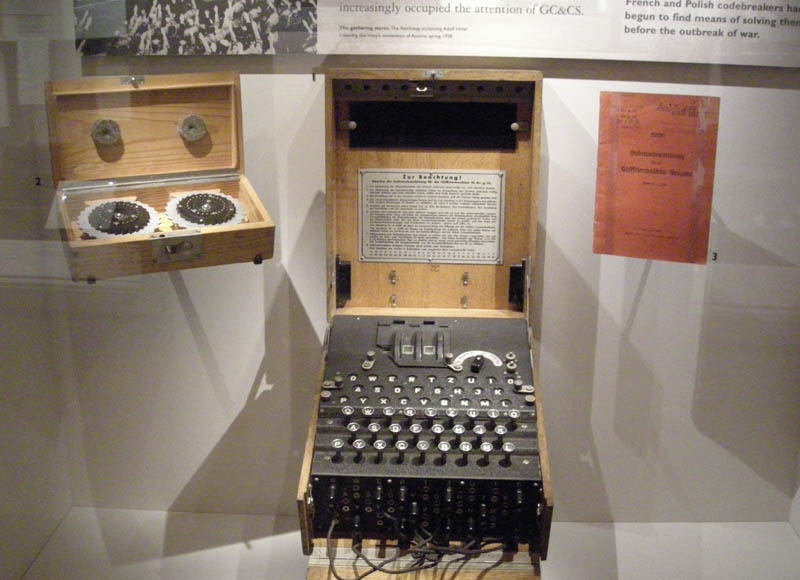 German World War II Enigma coding machine at the Imperial War Museum in London. French uniforms from World War I at the Imperial War Museum in London.